Completely overhauling their heavy-duty lineup, Ram as unveiled a whole new 2500 and it is a beast! The refreshed exterior allows it to seamlessly fall in line with its younger sibling the 1500 while the advanced driver assistance features keep the passengers and drive safe from the work site to the highway. The new high-tech interface will allow you to take your off on-the-go too! Outstanding payload and towing capacities will make this truck your right hand on the worksite, putting all other heavy-duty trucks in the segment to shame. Go ahead and keep reading the rest of our 2019 Ram 2500 to learn even more about this truck and what it can do! There are a total of six 2019 Ram 2500 trim levels available, each of which is built around their own theme, creating a truly unique experience! The lineup starts the workhouse Tradesman and the off-roading capable Power Wagon to the ultra luxurious and strong Limited. One of the best features found within the cabin is the 12-inch full configurable touchscreen which can run two apps at the same time! This means you can make sure you are going in the right direction with the navigation app and keep the cabin nice and comfortable with the climate controls. Further enhancing the ride are an active noise canceling system and acoustic glass, making the cabin an oasis from the outside world. Every passenger can stay fully charged with the five USB ports installed throughout the cabin while your tools can stay fully charged as well with the available household style outlets. Under the hood of the Ram 2500 are two incredible engines pulling their weight so you can get the job done! 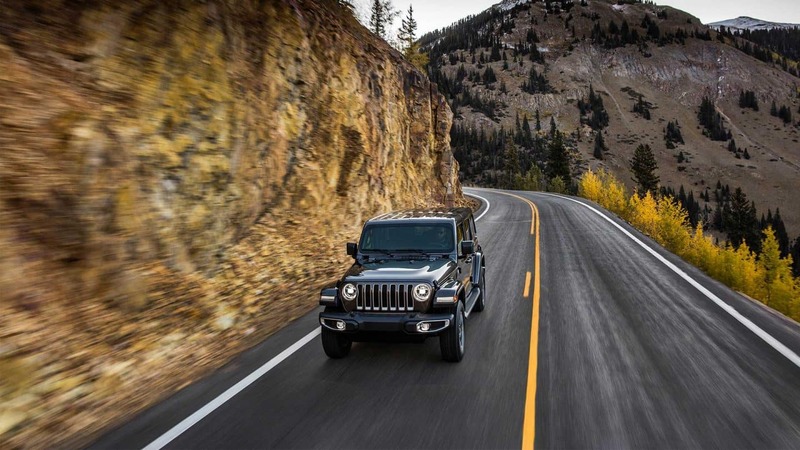 The standard engine for the 2019 model year is the 6.4L V8, paired with a TorqueFlite automatic 8-speed transmission. This powertrain works together to pump out 429 lb-ft of torque and 410 lb-ft of torque. If you are in need of more power you can opt for the available 6.7-liter Cummins inline-6 that comes mated to a 68RFE automatic 6-speed transmission. This powertrain is capable of pushing out 850 lb-ft of torque and 370 hp. The payload and towing capacities this truck has to offer are mind-blowing! Respectively, the truck maxes out at 7,050-pounds and 19,780-pounds. No other truck in the segment can haul that much! 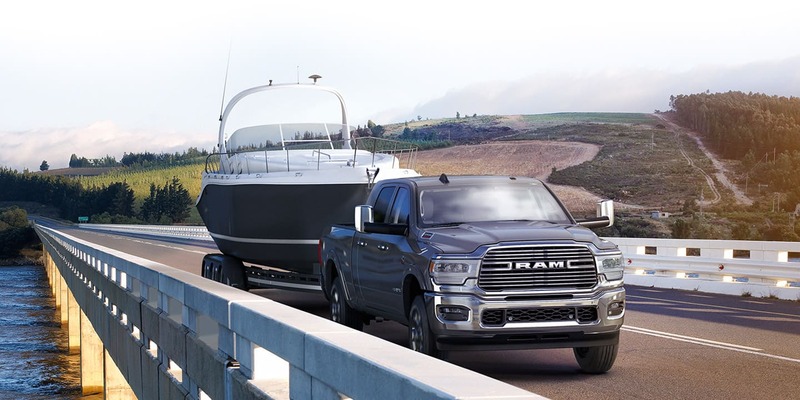 The Ram 2500 offers over 100 security and safety features for the 2019 model year! Passengers can feel calm and protected while drivers can feel confident behind the wheel thanks to the advanced active and passive features at play. High strength steel has been used in the core structure, body panels, and frame of the truck boosting the protection performance in the event of an accident. A tire pressure monitoring system is available too, so you are never caught off guard by a flat again. This system can monitor each of the truck's tires individually as well as up to 12 tires on a trailer! The rearview camera is another standard feature that helps make navigating the job site easier than ever before! The 2019 Ram 2500 is ready to hit the work site and get the job done! Are you looking to learn more about this powerful and capable truck? If so, you can reach out to our sales team at 844-340-0896 or come visit them at the dealership during our working hours! They would be happy to speak with you about the truck, give you a personal tour, and take you out for a test drive!